Do they have ticket insurance? Sell tickets on their site? Can you bid on prices? Can you exchange your tickets? With approximately 50 years of experience, Ticketmaster has many years of successful business under its belt. On January 25, 2010, Ticketmaster and Live Nation merged. They are officially under the name of Live Nation Entertainment. 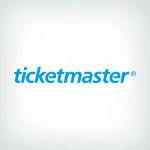 From affordable options for ticketing your own events to competitive prices for tickets and events, Ticketmaster is a professional company that can meet your ticketing needs. Ticketmaster allows you to download and print your tickets from your home. They are also mobile-friendly and feature an app for both iPhones and Android devices. Ticketmaster also allows you to use these services for your own event. You can contact the company to find out how to list your event on their website and all the related fees. Ticketmaster has been in business for almost 50 years. The company has the most experience in ticket sales across the United States and Canada. Its customer service is reportedly very friendly and helpful. Ticketmaster also has a few guarantees that make them stand out. Their Ticketmaster Fan Guarantee makes them a very trustworthy and reliable company to work with. Customers know where the tickets come from. Customers can also return tickets within 3 days or exchange tickets if they find a better deal. Ticketmaster offers refunds if the event is canceled. Ticketmaster has worked hard to provide customers with peace of mind about their purchases. They do not have a set fee schedule. The fees chosen for these tickets are those that each individual client sets for their own venues and events. The fees can vary greatly from event to event. The other fees issued to tickets seem a bit excessive. There's a base price, taxes, and fees for processing, TM+ resale, delivery, and facilities. Ticketmaster knows the ticket business. They have a streamlined process on the web and on their app. They offer a wide range of events and have clear policies listed on their website. It would be nice to have clearer details about their range of fees on ticket purchases ahead of time. It would make comparing Ticketmaster to other ticketing companies easier. Ticketmaster has been in business the longest of the companies we've researched. They provide excellent service, a return policy, and ticket insurance. We recommend Ticketmaster for ticket purchasing needs. After looking for something to do, my wife and I found a monster truck show near us on Ticketmaster. We had never been, decided it would be a fun and interesting night. It was easy to order the tickets through Ticketmaster, they ended up being a little more pricey than they were at the door, but that’s OK, I would rather had made advance anyways. LOVE!!!!!!!!!!! Great prices and seats and will not rip you off. Tickets get delivered to my door. I wish I had more good things to say about Ticketmaster than bad. But nearly everytime I GO there, something happens. Whether the website doesn't want to load, or the tickets that were supposedly reserved for me randomly disappear... It's frustrating. I also desperately wish instead of giving me random tickets every time in random seats for major events (shows, concerts, etc) - they let me pick my seating section. I have bought many event tickets thru ticketmaster always an easy process and you have the option of printing out your ticket or save it on your app to have it ready at the door. Purchased the tickets well in advance from Ticket Master at a decent price for the Washington Wizards vs New York Rangers' Semifinals tickets at the Capital One Arena in Washington DC. Got really good seats, and we won in the last 5 minutes!! Best Ice hockey game ever. I buy most of my concert tickets from Ticketmaster. My only complaint is that if I go to buy a ticket when many others are, the website crashes or fails and I loose opportunities for better tickets. I have used Ticketmaster a few times for concerts and it's great! Very easy process and always receive my tickets quickly! I have used these guys a couple of times for concerts and other events. It is a simple way to get tickets and beat the box office. Whats not to love about having your ticket available directly on your phone. You can buy tickets while being lazy at home sitting around in your underwear! Ticketmaster is the only place I go to book tickets to something, I have no question of the tickets authenticity and I can easily pick my seat and send tickets to other people who are going with me! I go to many, many concerts so I buy from Ticketmaster all the time. It's always a super quick and easy process getting tickets and I like that you can zoom in to actually pick specific seats. The only reason I'm giving them 3 out of 5 starts is because of their ridiculous fees. Buying four $25.00 tickets should not end up coming to over $200.00. However, they are pretty much the only place to buy major concert tickets at so I bite the bullet and pay. I like to use Ticketmaster to buy my concert tickets because it gives me the best price available. I've compared them to other companies and their prices are slightly less. I like their app you can put on your phone to make it easy to access your tickets. I have used Ticketmaster for a long time to purchase all of my concert tickets. I love the ease of purchasing. I also enjoy the emailed tickets right after purchase. Makes my life easy! I have not been impressed with my use of ticket master. The fees are outrageous and the service is mediocre. Their terms and conditions are also a little much. I have yet to have a positive experience with them. I would try using a different method if you looking for tickets. I've used Ticketmaster a few different times, and I think it's great overall, but I wish it were a little more user-friendly online. Ticketmaster has been around since the dawn of time and they know their stuff. I never worry about ticket purchases through Ticketmaster. I have a love/hate relationship with Ticketmaster. My favorite convenience TM offers is pick your own seat functionality. However I dislike when specific shows don't allow me to pick my own seat and I have to rely on the "Best Available" function to give me seats I don't like. The pick you own seat functionality should always be available, but if you want to use best available give consumers that option. I strongly dislike the amount TM charges for additional fees. I'm doing all the work (selecting tickets, supplying billing information) and their already paid for software executes the transaction. I wished they'd lower their fees. The didn't get the nickname Ticketschister for no reason. I have used there ticket exchange feature to upgrade my tickets for better tickets with their customer service reps. Unfortunately they're the primary ticketing agency for all major shows so I'm stuck having to use them and paying their fees. I've been buying all of my tickets here and I like that they are doing the fan presale to make it easier for real fans to get tickets before it sells out. It makes it really convenient and helps me get tickets to the shows that I really want to go to. We are a big concert family and always purchase our tickets through ticketmaster when we can. I bought tickets for a few different concert from their website. I didn't have any problems and the prices were cheaper compared to other ticket websites. I have purchased concert tickets a few different times through Ticketmaster, and I've never been disappointed. There are fees, but they didn't seem any steeper than what you would pay through any other event ticketing platform. I like that Ticketmaster keeps me in the loop by sending me emails about upcoming shows that I might like based on my past purchases. The fees are insanely high, especially if you are getting cheap tickets. There have been times when the fees are higher than the actual price of the ticket. Ticketmaster also partakes in predatory business practices, including partnering with the Yankees to nearly eliminate the ticket resale market. Sadly, if a team uses ticketmaster, they are your only option for tickets directly from the team. I strongly suggest that you look at resellers and choose the cheapest price. You don't get anything for the fees.